Not much to say here. Just love that designer are coming out and showcasing great looking, functional watches. 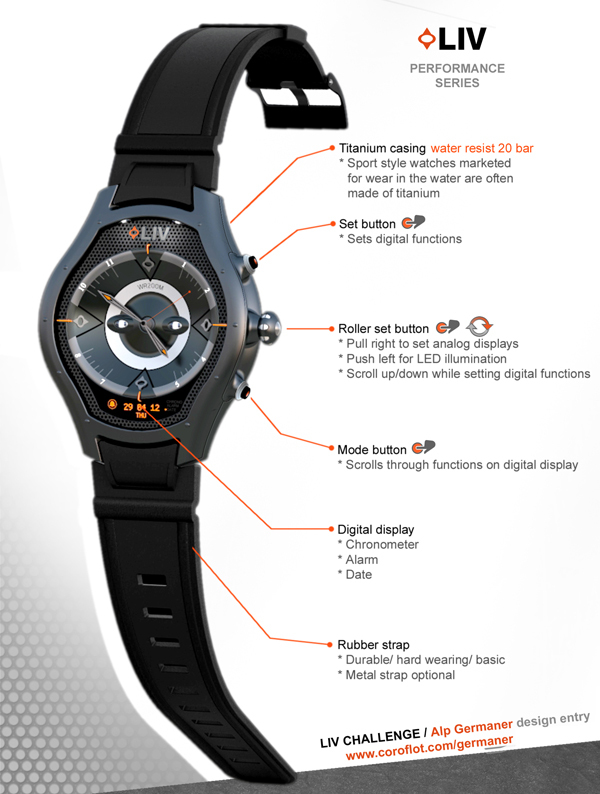 LIV is a ultra-durable, waterproof timepiece with all the bells and whistles. 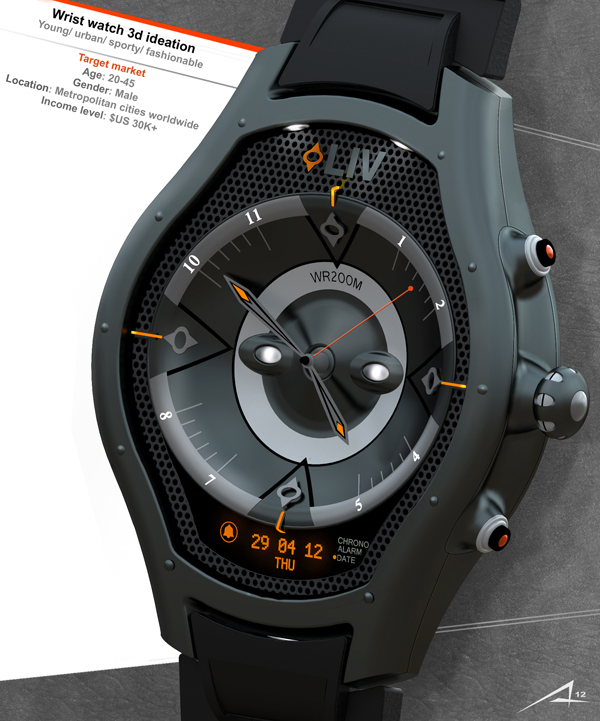 Features include a tough titanium casing, analog and digital displays, chronometer, and tactile controls. It’s a super-sporty design made for roughing it. One piece bicycle rainsuit, BikeSuit!